Simple designs like this I feel showcase complimentary colors well. I call this Modern Gold Diggers because it's a cleaner version of the sponged gold tips I've seen on other nail polish blogs. 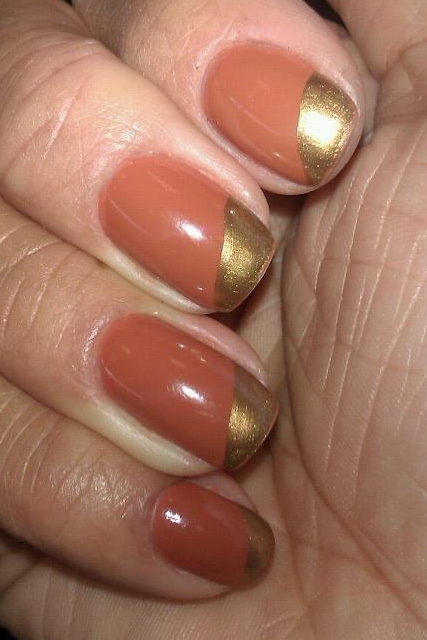 Very easy and draws a lot of attention, even the guys at work commented on this mani. Thoughts? Feelings? Concerns? HM "Looks Good on You" and "Gold Treasures"